You need to come to the Blended with Love Conference on June 1, 2019! I promise you will not leave the same! Purchase your tickets today; you deserve peace, happiness, and unity! Your family is worth it and doing what is best for our children is what matters the most. 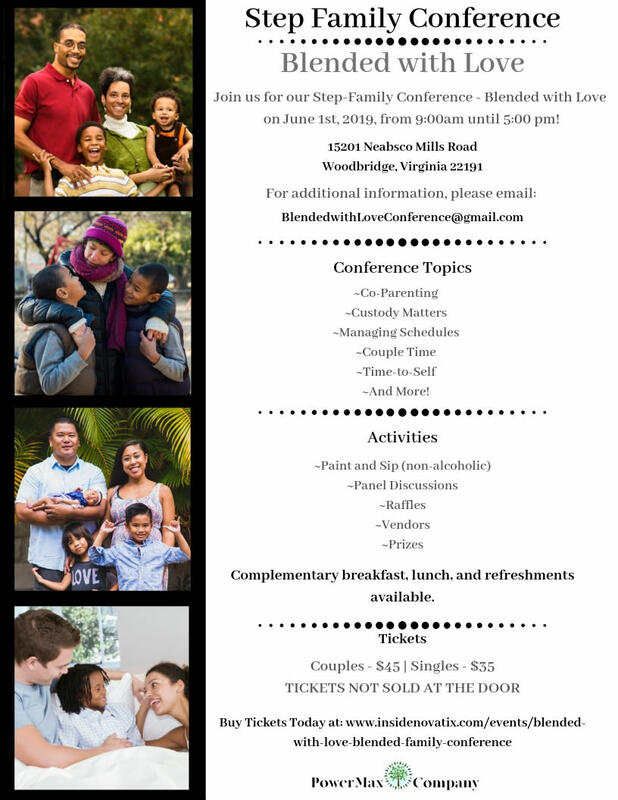 The Step Family Blended with Love Conference will be held on June 1, 2019 at Freedom High School 15201 Neabsco Mills Road from 9am-5pm. Tickets will not be sold at the door. Tickets are $45 for couples/(2 tickets) and $35 for single ticket purchase. We do offer group discounts of 20 or more. 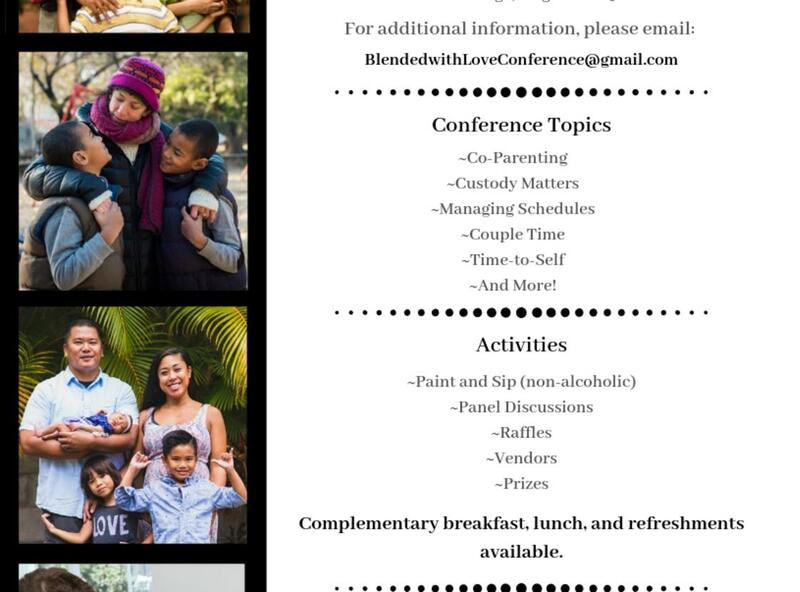 Please email blendedwithloveconference@gmail.com for more information and for group tickets.Please use the link below to purchase your tickets by May 10th. We are encouraging everyone to invite their family, friends, co-parents, etc, anyone who they think could benefit from this conference. Please let me know if you have any additional questions. I have attached the flyers for the conference below. If you know of anyone who would be interested in attending the conference please pass the flyers and the link on so that they may purchase tickets. Building stronger communities,while providing tools, resources, and events that help educate and foster unity for our families.